"Fallen Angel" was a track on Alphaville's first album "Forever Young" back in 1984. 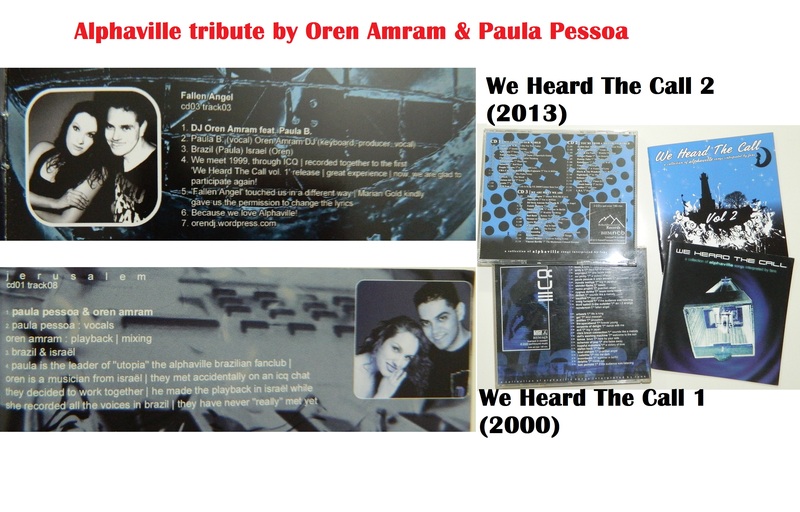 The track is featuring on "We Heard The Call", a triple collection of Alphaville songs interpreted by fans. the songs has different lyrics from the original with a permission from Marian Gold. אל תצחקו… אבל לא בכל יום אני מתעורר וחושב שיש לי מספיק אומץ להקליט שיר. כלומר.. לשיר… על אמת… תמיד טענתי שלשיר זה בשביל זמרים מקצועיים. אבל בגלל שאתם ואני יודעים שזה ממש לא ככה, ויש המון כאלו שלא יודעים לשיר ושרים, יש המון שלא יודעים לצלם ומצלמים, יש המון שלא יודעים לתקלט ומתקלטים, ויש בכלל המון שלא יודעים כלום אבל עושים הרבה שטויות… אז למה שגם אני לא?.. We Heard The Call 2 – is finally here! 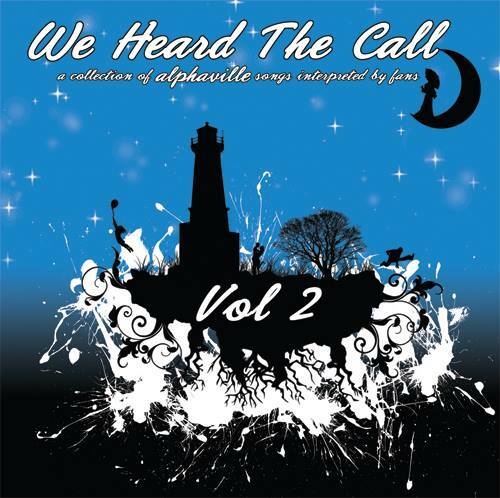 "We Heard The Call" vol. 2 is finally out! 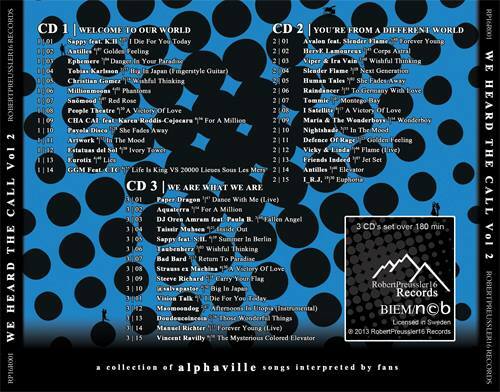 a triple collection of Alphaville songs interpreted by fans. me & Paula have track no.3 on cd no. 3 – "Fallen Angel"
release day – 16/8/2013 ! "We Heard The Call 2" is gonna be release at the 16th of August 2013. Oren Amram DJ, keyboards, Producer and vocals; Paula B. vocals. We’ve met in December of 1999, through the ICQ profile. Since then, we became friends and always talking about music. We recorded together for the first "We Heard The Call" and it was really a great experience. Now, we are glad to participate again! We have certainly a lot of favourite songs, but "Fallen Angel" touched us in a different way and it would be nice to have a duet, as Marian Gold Kindly gave us the permission to change the lyrics. finally I recorded my part on the song. my vocals are done, I hope tomorrow to start with the final mix. OMG, am I really a singer? I'm fitting it just now to the playback that I did. the Brazillian part on the project has almost done, now it's my turn to record my vocals & mix it all together. hope to make it on time, we got a new dead-line for the "We Heard The Call 2" project, till the end of October. cross fingers to us that we'll be there! there's just a few fixes to do with the loops, and then the final mix. good news about the lyrics, we have a full permission from Marian Gold to do changes in the lyrics! he is in the middle of hard working on the production of Alphaville new album and we hope to hear snippets from it soon! meantime I decided to change the loop a bit & add more sub-loops. still haven't got a clue how the end of the song will be.